As Hurricane Sandy proved to many northeastern residents over the past year, it’s never a bad thing to prepare for emergency situations because you can never tell how terrible things are going to get. Perhaps the power will be out for an hour, or maybe a whole week. In either case, it’s important to stock up on plenty of supplies like a working flashlight – but even then, it’s easy to forget to buy enough batteries. Lucky for those who aren’t expecting the unexpected, this emergency Bulb Flashlight from the Museum of Modern Art store provides power even if you forgot to purchase those pesky little AA’s. 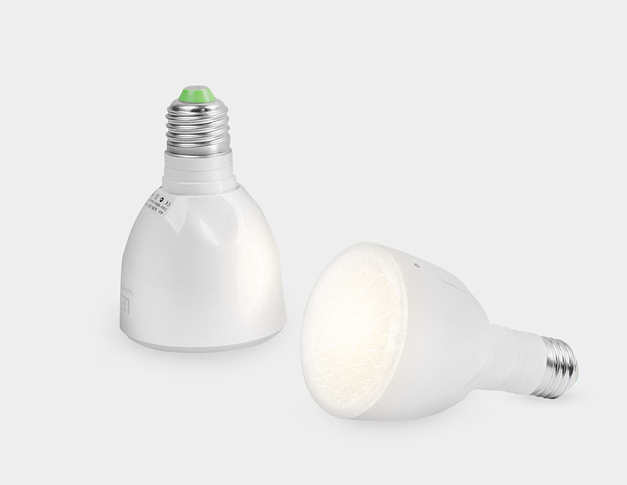 The Bulb Flashlight is a regular LED bulb that goes on any ol’ light socket in your home. The bright, low-heat bulb produces a glow that is equivalent to a 40W incandescent, and lasts up to 60,000 hours. The special feature about this bulb isn’t just the cost efficient aspect, but that it also contains an internal rechargeable battery that keeps it juiced up just by being attached to your light socket. This allows the bulb to hold a stock of energy to be used in case of power outages, giving you an extra three hours of light in the midst of an emergency. The Bulb Flashlight, as its name would indicate, can also be detached and used like a regular flashlight. It comes with an extendable handle so you can hold the bulb more comfortably as you navigate the night. When the power comes back on, simply reattach the bulb and it will go back to charging the extra battery within. The MoMA exclusive item is pretty pricey at $45 apiece, but it does give a peace of mind to those who always feel inadequately prepared for emergencies. You’ll still have to remember to supply water and food, but at least you won’t dining in the dark.